IBJJF/USBJJF BJJ Black Belt Certified. Professor Renato “Babalu” Sobral’s 2nd Student who has been promoted to BJJ Black Belt and who has been with him since White Belt. We are Babalu’s Iron Gym Affiliate School. Proud and honored to be a part of a legendary lineage. These certificates represent all of our past and current teammates, our team at Babalu’s Iron Gym and our growing Martial Arts school in Eugene. 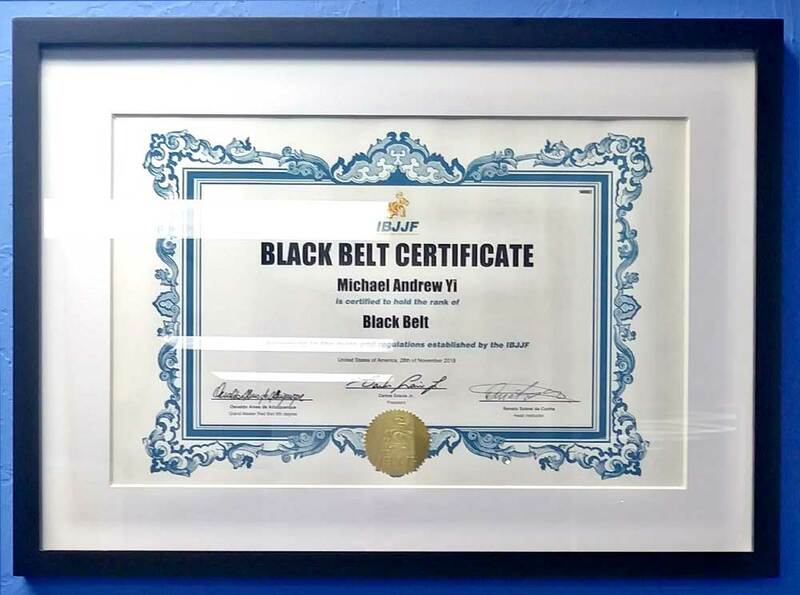 Fully certified, and having met all the requirements including a background check, cpr certification and BJJ Lineage by the largest BJJ Organization.